Pruning and shaping traditional, mature shrubs. After – 3 with Philadelphus in foreground. During: Photinia after initial trim. 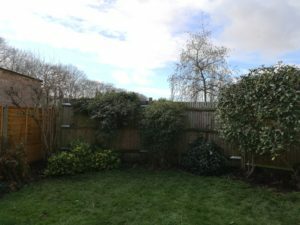 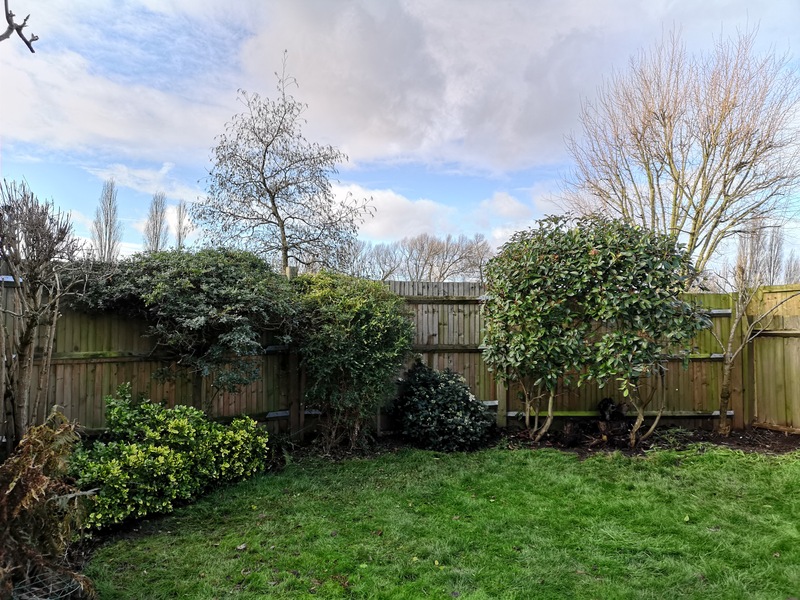 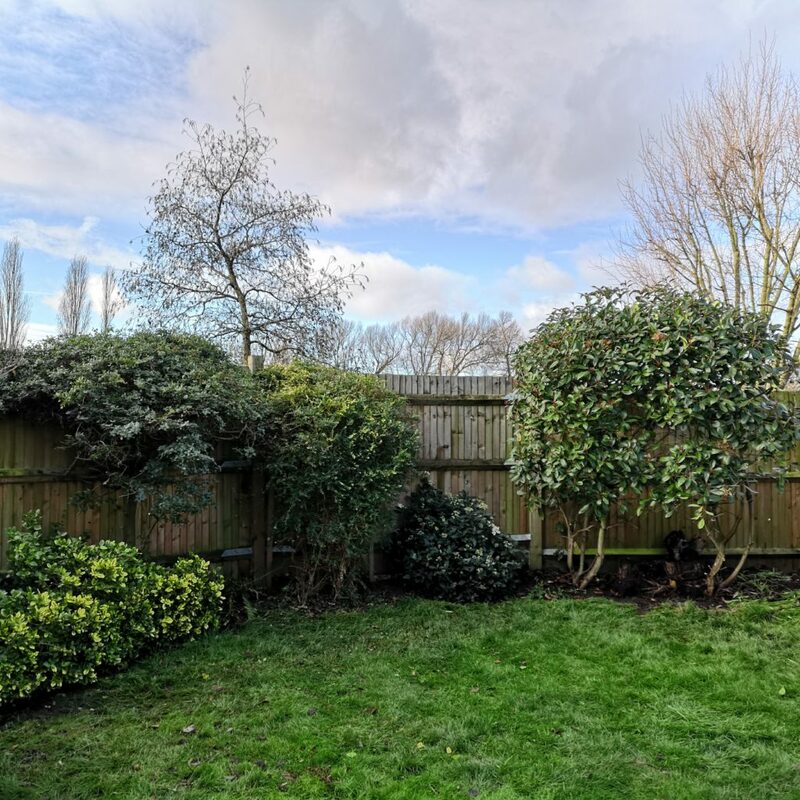 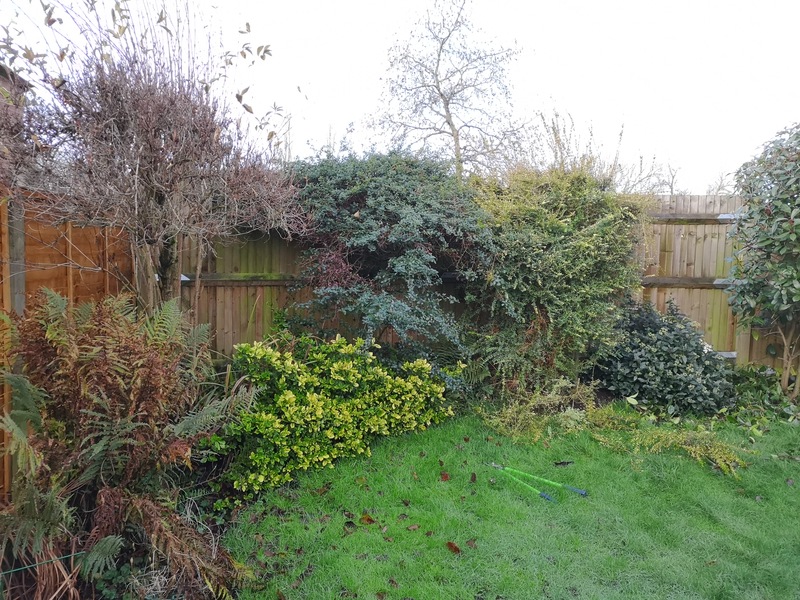 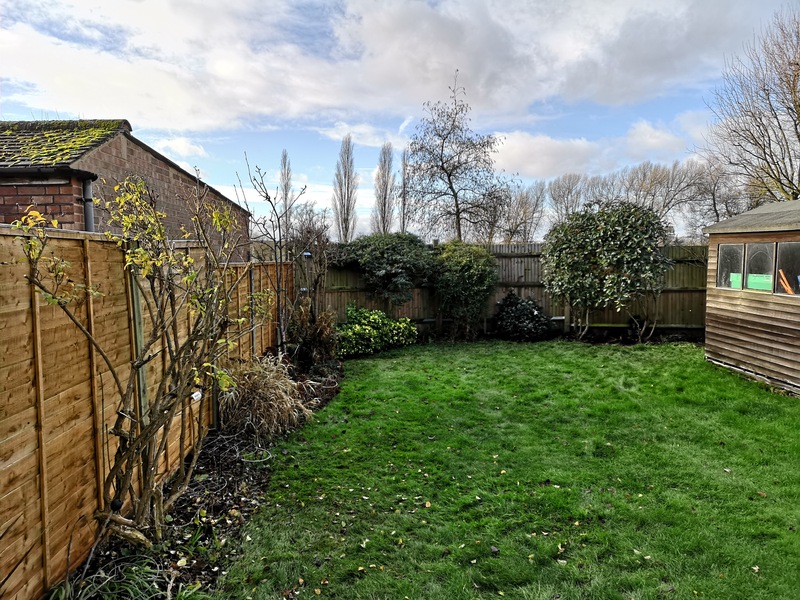 Quick before and after of classic suburban shrubs – Philadelphus, Weigela, Ceanothus, Lonicera nitida, Viburnum tinus, Photinia and Forsythia. 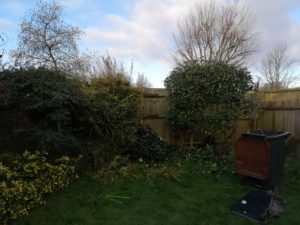 All were pruned, shaped and thinned, and I will return in the new year, with more time, and a ladder.